Tymon cross country March 2017 video & photos. With cross-country and track & field events upcoming so we all need to get some training in. When you´re not out getting fit, take time to check out our athletics coaching videos. Try these speed and agility drills. Here you can see Jack and Daragh showing how to change baton at top speed. 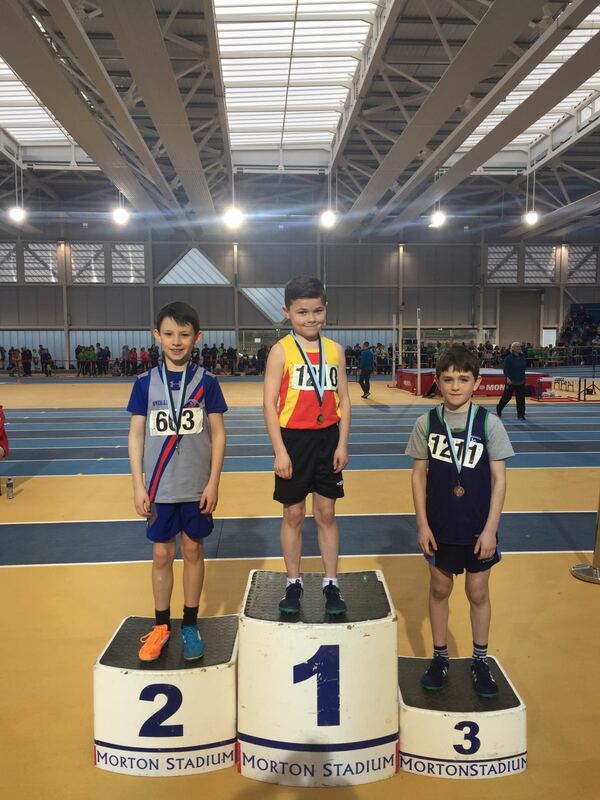 Well done to Gareth, Dara and Cillian who were all among the medallists at the Dublin Indoors Championships recently. Photo here. St Enda´s cross countryphotos and video.